10 Fun Things To Do In Koh Phangan - A World to Travel. 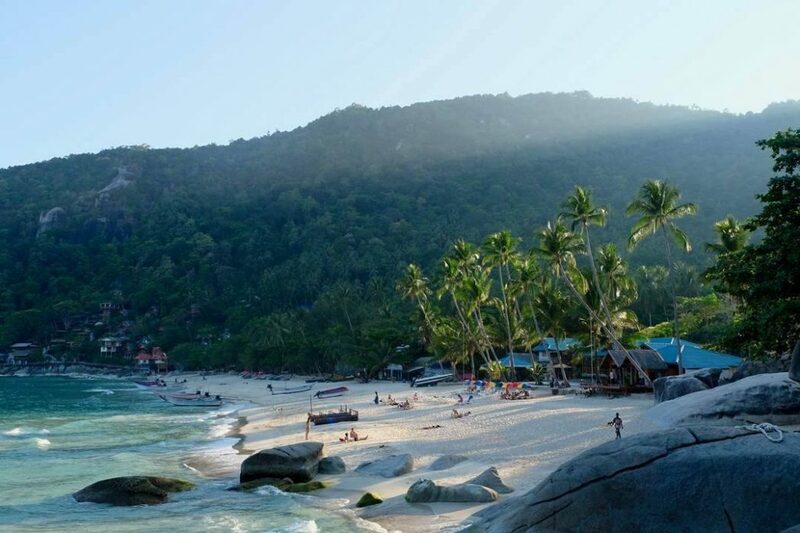 Located in the epic South East of Thailand, Koh Phangan is an island that is popular for its notorious night parties, the most famous among them being the Moon Party. However, I found a hidden secret to this top Thai island – it’s unrivaled beauty. Sitting in the Gulf of Thailand, the island is breathtakingly beautiful with its long and lush palm trees, turquoise waters, and golden beaches. Koh Phangan is your heavenly fix for a perfect holiday or backpacking adventure. Although stereotyped because of the crazy parties it has, the island also has a quieter side that very few people know. It’s a surprise for explorers. So, here we bring you a list of the best things you can do in Koh Phangan on the island ranging from water sports, beach walks to crazy moon parties. 9. Witness mesmerizing sunsets, every day! Snorkeling and diving in Koh Phangan are two things that you would find in everyone’s bucket list. In Thailand, you can tick both these sports off. Although the neighboring island to Koh Phangan, Koh Tao is famous for diving, most people aren’t aware that the sites in the later and former are the same. Examples include the Sail Rock and Southwest Pinnacle. 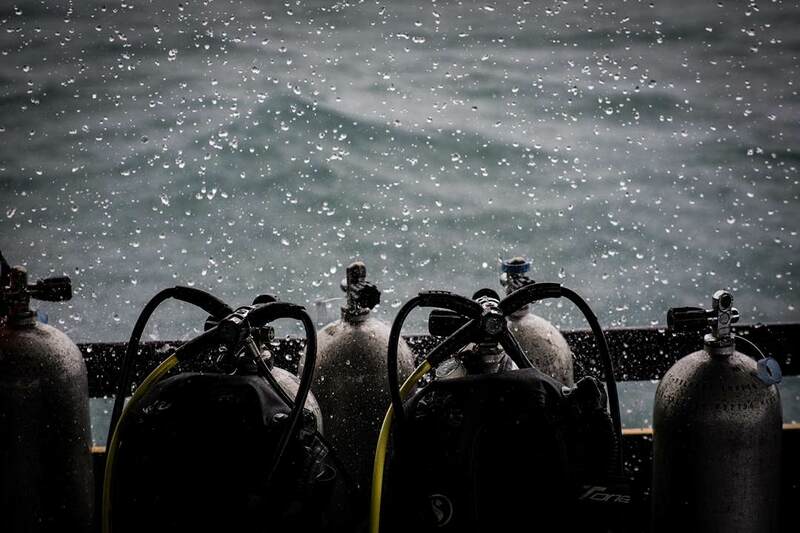 Both these sites are amazing for diving. However, if you’re not up for diving and just want to snorkel, then Haad Yao and Hada Salad are your places to go because of the noteworthy beaches they have. Diving and snorkeling are things that are must-dos when visiting Thailand, thus rank first in our list of the best things to do in Koh Phangan. Koh Phangan has a range of sweet waterfalls that are so beautiful that they look unreal. It’s the literal visual representation of the phrase ‘heaven on Earth’. There are seven waterfalls in Koh Phangan; Phaeng, Sramanora Waterfalls, Thaan Sadet, Wangsai, Thaan Prawes, Paradise and Thaan Prapaad. You can take as many dives as you want to or just swim in the water pools. However, make sure you choose the right time for your vacations because these waterfalls dry up during rainy seasons. Parties are the first few things that sowed the popularity of this not-so-known island. Therefore, these parties are a must to be in the list of the best things to do in Koh Phangan. When going to the island, you know one thing for sure; your nightlife would be on a roll in Koh Phangan. The parties; Full Moon, Half Moon and the recently started Black Moon are a crime to miss. The parties are held at the Haad Rin Beach. Visitors usually stay back on the beach till morning for the sunrise which leaves one mesmerized. I did the famous full moon party and had a crazy time, but it’s now a wild as made out to be. It’s fine for all types of visitors. Try it out. Thai markets are one of my favorite things. And Koh Phangan and night markets are two things that go hand in hand with each other. The night markets are another popular attraction on the island with a variety of things and food they offer. One of the most famous night markets is the Thong Sala Night Market which is locally also called the Panthip Market. The place offers a delicious variety of local and international cuisines like pizza, burgers, sushi, and pad Thai. Moreover, culinary items can be found in profusion here that too at lower prices. Another way to explore Koh Phangan is trekking. Koh Phangan has a fair amount of hills that you can get your fitness game face on with. Khao Reh is the tallest mountain on the island. Trekking on the mountain is likely to give you a fair share of kick. You can also explore the Eastern coastline of the island and the Phaeng Water Fall National Park. Moreover, make sure you are stocked with snacks and a map when on these treks, otherwise you might end up lost and hungry. Do you love Thai food? Thai food is ranked as not only the best Asian cuisine but its also the world’s most delicious food. I love it! Thai food is fresh, healthy, organic and spicy – A killer combination. Although locals don’t find the food spicy, it’s popular to be so among tourists. Thai cuisine also has a huge variety to choose from, so you are fixed! Whenever you’re taking a walk down the streets at night, the aroma of Thai food coming from Thai restaurants is surely going to woo you inside! Here’s something totally unique that you can do in Koh Phangan. The Moonlight Cinema is an open-air cinema that has a welcoming and comfortable environment. How sweet is that? Cult classics, as well as new movies, are screened in intervals here. You can also enjoy snacks and drinks along with the movie. The place is a perfect getaway for couples. The tickets cost just (150 Baht) which go even cheaper on special occasions. The uniqueness of the place definitely makes it rank on our list of the best experiences in Koh Phangan. Koh Phangan has many temples to visit, around 20. The temples are not only beautiful because of their intricate architecture and intimidating statues, but also have a strange effect on people visiting here. The temples create a feeling of tranquility inside you. Moreover, temples like Wat Khao Tam date back centuries. The Wat Khao Tam allows tourists to sit through their meditation sessions and also get massages. If you love sunsets, then Koh Phangan is an awesome break for you. Apart from partying and lazing around on beaches, another of the things that you can do on the island is to watch the sunsets. After rainfall, the sky turns into hues of shades like orange, blue and purple, making people go in awe of it. One of the most famous places where you can view sunsets from is the Amsterdam Bar by Ao Playlaaem. These sunsets are the perfect time to contemplate life. For photographers, these sunsets are heaven! It would be a pity if you visit Thailand and do not try yoga. As it surely is one of the musts in the island. Yoga is widespread throughout the island in the form of several places that give yoga classes. The classes are not restricted to any type of practice or prior experience. A professional, as well as a beginner, are equally treated here. Not only that, the classes vary from styles, positions to various meditation workshops. These yoga classes are free of cost for the initial hour, but cost 300-500 Baht on an average. If you need a spiritual retreat on your trip, then Koh Phangan is surely your place to go! These are just a few things that you can do on the island. The list goes on and on and on. 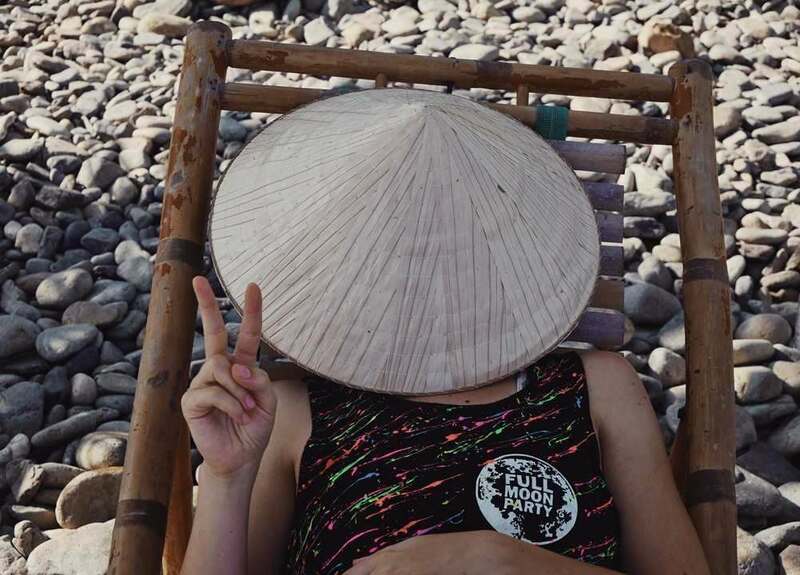 Although the Koh Phangan Moon Party is an important attraction on the island, it’s the epic beaches, beautiful sunsets and several other things that make the island a perfect destination for a vacation. You can party here with friends, go on a movie date with your other half or just spend some me-time at the yoga classes – the island makes sure everyone is satisfied. One thing, if you’re looking forward to making your vacation in Koh Phangan even more fun and cheap (more importantly), then you should consider renting out a bike for yourself. A tour of the island on a bike would cost you just 150 Baht, much lesser than what a taxi would charge you. Plus, it would be a whole lot adventurous! Koh Phangan is an escape from the noise in the capital, Bangkok. Its energy and beauty are equivalent to a drug that you can never get enough of. If you’re visiting the island anytime soon, this list of top things to do in Koh Phangan would be a life-saver for you! I am a young, exciting and active travel blogger. I create unique how-to travel guides for you. These come from my adventures from all over the world, come and join the adventure at The Northern Boy.